The Earth spins on its axis. The sun rises. The moon falls. The sun falls. The moon rises. We're machines of perpetual motion, working hard all day, on and on and on to make money. Pounds. Dollars. Yen. Euros. Rupees. Stock market news wraps itself round shimmering buildings dressed in glass. Suited men and women hurry up escalators, down escalators, up flights of stairs, down flights of stairs. We rush to get to work. We rush to get out of work. We rush to make money, then we rush to spend it. But the one currency we don't make enough of, is time. We fail to see money for what it really is, what it is really for - as a tool for trade. Money is not our lifeblood. It is not our soul. We cannot swallow it for health. We can't inject it for love. We can't breathe it for passion, or creativity, or contentment. Time, on the other hand, is the strongest currency of them all. Time can give us health - after all, it is often the greatest healer. We need time to fall in love. Over time, our passion can grow and our creativity can develop. And with time on our hands, like the Buddha reaching enlightenment, we can enter nirvana. Now I'm not saying that Pukka Pies' new microwaveable 3 and half minute chicken balti pie will give you enough time to reach a complete stillness of mind atop a mountain, but you'll have a bit more time on your hands to watch Breaking Bad or play GTA V at least. With a normal pie, the packaging often states that the pie can be microwaved but for the best results the pie should be oven cooked. This is not the case with this pie - these rules are reversed. The packaging says that while similar results can be achieved through oven cooking, microwaving this pie will save time. The pie pastry is specially designed to withstand the 'chewiness' which a microwave often transposes onto pastry during radiation cookery. 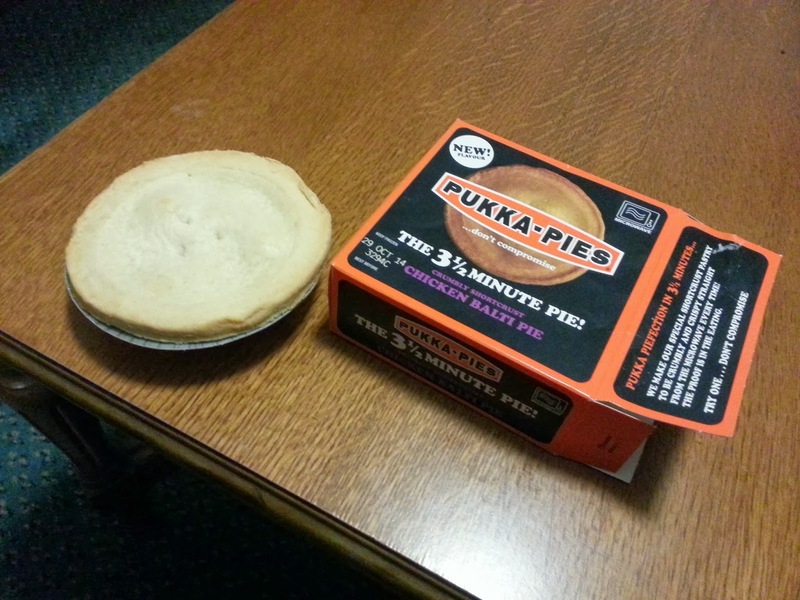 I must point out at this moment that this isn't the first microwaveable Pukka Pie we've tried at Pierate. 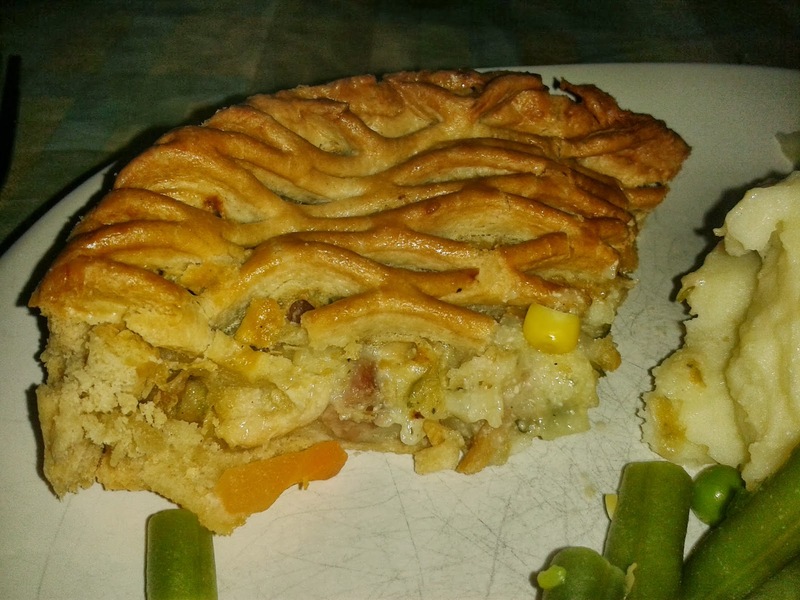 I ate the chicken pie version of this pie back in 2011, and I was quite a fan of the convenience back then, although I questioned the utility of a pie that cooked so quickly relative to the chips that you're inevitably going to eat this with. Now, consistency is one of the Seven Cs that we deliberate over when rating pies out of 7 here at Pierate. So let's see whether Pukka Pies have been consistent with their quality across their brands and throughout the years. 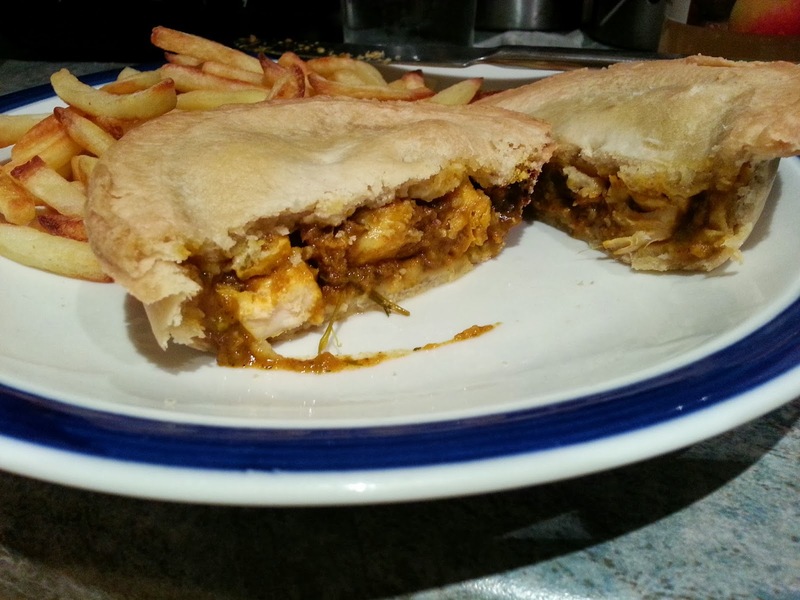 One quick zap at 4 minutes 10 seconds in a 700W microwave, and this chicken balti is apparently ready to eat! First thing that strikes me is, in my opinion, how dry this pie is. I need to wash each mouthful down with water. The pastry is dry (and deliberately so, I imagine, so that it doesn't go chewy and soggy in the microwave). 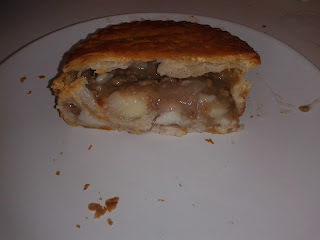 The lack of gravylicious gravy makes the meat dry, and I find the bottom of the pie has a tinge of burn to it so that the pastry is a bit crispy and...dry. The chicken is actually fine otherwise - not too chewy - but I feel that there's significant compromises being made here so that the pie is microwaveable. 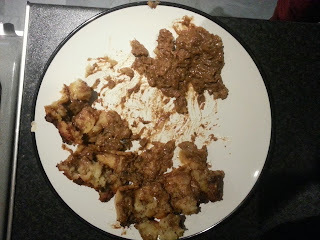 I'm really not convinced that a microwaveable pie is what the people want, and certainly not if this is the end result. The balti tasted alright, I suppose. But there wasn't any richness to it, or any smoothness. I wanted to melt away with this pie, into exotic far-away lands. Instead, I had to keep sipping at my glass of water while desperately trying to find some gravy to dip my chips in. 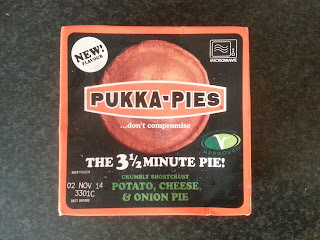 Incidentally, I also found this Pukka Pies 3 and half minute microwaveable Potato, Cheese and Onion pie, also in the frozen section of the supermarket. The problem with this pie turned out to be quite the opposite to the chicken balti pie reviewed above. The end result of the microwaving process was quite a soggy pie. Examining the base of this specimen, however, it seems that I've managed to burn it. It seems quite odd to me how the crispiness of the pie differs throughout its various sections. The overall taste of the pie was, in my opinion, quite strong in it's cheese and oniony-ness, to which my personal palate isn't suited. Perhaps you need to give this pie a go if you are a fan of cheese and onion, but since in my household the cheese and onion crisps are the last to go from the multipack, I'm not convinced that fans of cheese and onion do actually exist. These microwaveable pies are certainly convenient, but I am personally finding it difficult to nail the cooking process. I have had a pie that's too dry, one that was a bit soggy, and one that was really quite soggy. Am I doing something wrong? Or should we all just stick to oven cooking pies in the future? 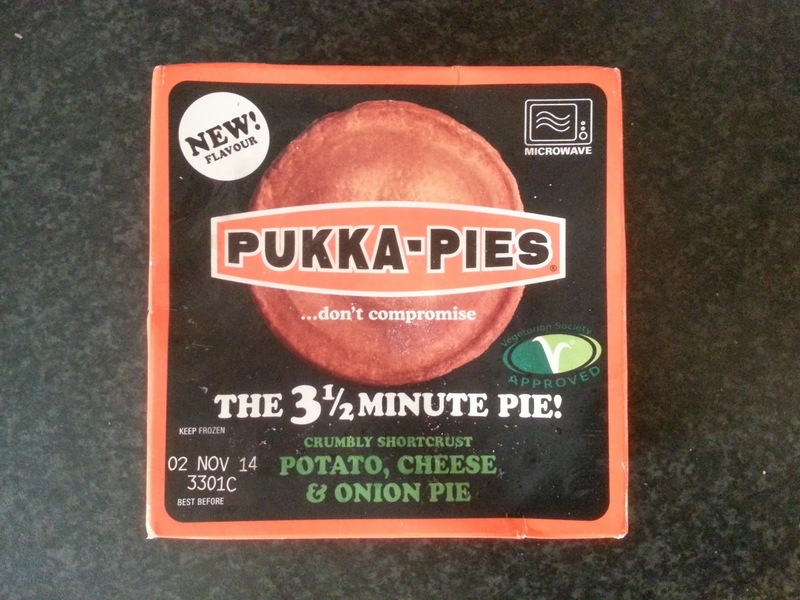 continue reading "Pukka Pies save time with microwaveable pie - but at what cost?" Ah, Higgidy. We had a Higgidy celebration back in July, in aid of our 200th pie review. Back then we tried the Slow Cooked Steak & Red Wine pie, the Sweet Potato, Feta Cheese and Pumpkin Seed pie, and the Chicken Pot Pie with Ham and Leek. 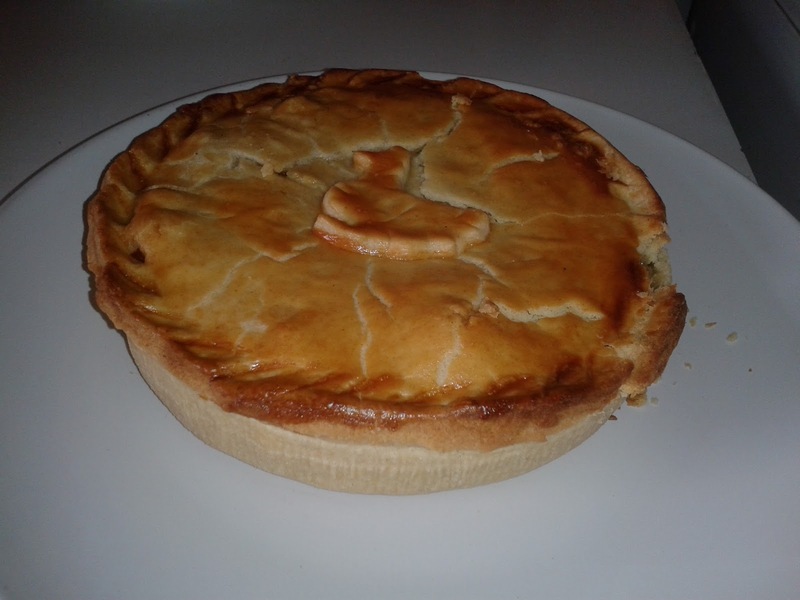 Today I'll be reviewing the British Beef, Stilton and Ale pie from the Shoreham-by-Sea company. I had always thought of Higgidy as being a primarily vegetarian company, but here they are delving deep into the domain of hardy meat fans. Beef, blue cheese and ale is a pretty butch combination. I'm desperate to know - can the quirky, cute, family-business Higgidy pull it off? So the pastry is short crust, but doesn't totally encase the whole filling (much like other pie offerings from Higgidy). Instead, the pastry lid is replaced with potato mash. That's not good! Why not opt for a pastry lid? This is a very British affair - not only is it made by a British company, but the beef is British, the stilton is British, and I imagine the ale is probably British. I like that. The lack of pastry lid to this pie is my immediate concern. We strongly favour pies that have a filling totally and wholly encased in pastry (have we ever mentioned that before...? ), so the omission of a lid here is guaranteed to lower the final score. This also detracts from the colour of the pie, as I often assess the pastry lid for a rich pine colour. Here, despite cooking the pie for the allotted time at the allotted temperature, I appear to have burnt the potato topping slightly. However, the condition of the pie is good. This photograph - apart from a few bits of gravy still stuck to the pastry which I couldn't scrape off - is the entire filling of this pie. I haven't included the potato mash here, because that is technically the lid. 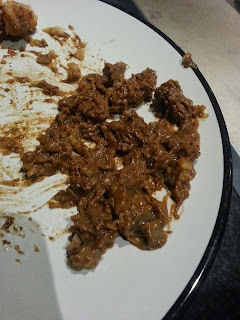 As you can see (or perhaps not quite so clearly), the chunks of beef are few and far between. Most of what you see here is gravy with some fibres of beef swimming around in it - there are a couple of small chunks of beef at the top of the photograph. This was extremely disappointing and not what I would expect from a premium beef pie. If you're expecting a big meat feast with this pie, then think again. For those who like their meat pies with meat in, this might not be for you. I could have probably eaten the entire filling here in one large spoonful. Is this a sign that Higgidy isn't ready yet to compete with the big carnivorous players? That fact aside, the filling was actually delicious. There was definitely a fairly strong taste of stilton. I know for some people this will be a big negative, but for use fans of blue cheese, this is definitely a 'plus' point. Good on you Higgidy! Be brave with the stilton taste! Big flavours. Just need to be bigger on the chunks of meat. Overall, at about £3.50, this was priced at the premium end of the supermarket pie spectrum - but the quality is clear. The meat (when it was there) was not chewy, and the pastry was great quality. It loses points for no pastry lid, a lack of filling and a lack of beef in the filling, and also it is slightly expensive. 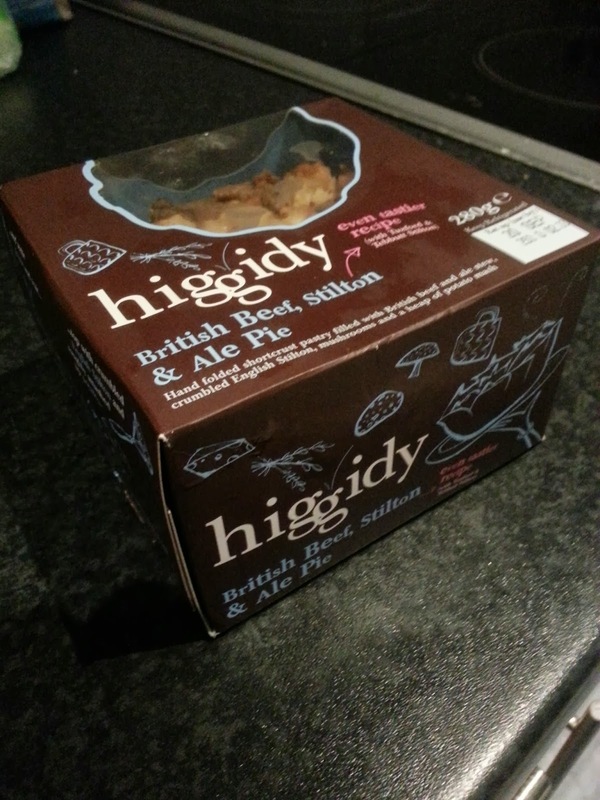 continue reading "Unmis-steak-ably steak and stilton pie from Higgidy"
It comes as a great privilege to be able to review a pie that has not even hit the shops yet! 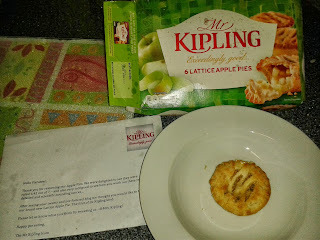 So while Mr Kipling stockists are busy awaiting their deliveries of Lattice Apple pies, Pierateer RAS was busy chomping away at the Lattice Apple pie that had arrived during the post earlier that day! Now it has to be said that the condition of some of the pies were worst for ware following the postal delivery (even with the “Fragile” and “handle with care” notices on the packaging!) However from the pie in the photo you can see the lattice structure and the apple filling inside. Once again an exceedingly good pie from the premier portable snack sized fruit pie manufacturers! 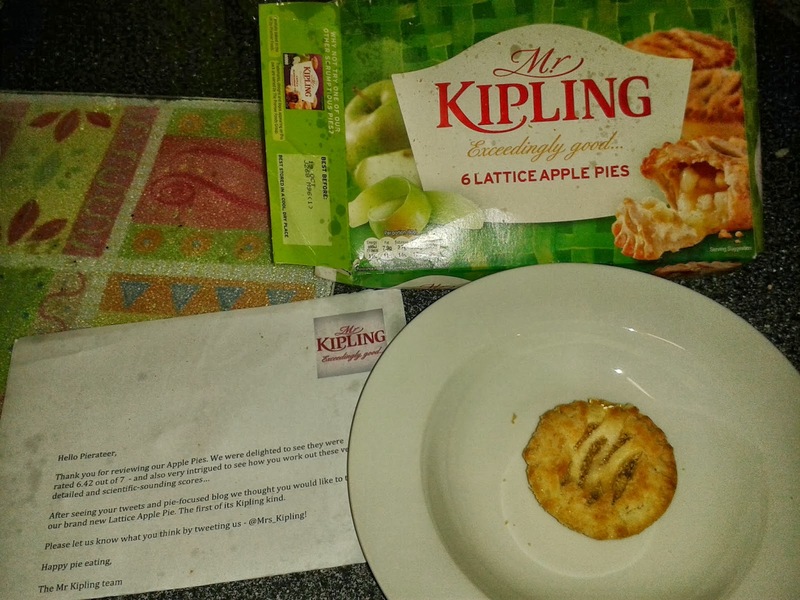 Special thanks to Mr Kipling for taking the time out of his busy pie making schedule to send me some of their new pies before they even reach the shops and to Jeremy, Jonathan, Rebekah, Rob and Steve for sharing this world exclusive with me! continue reading "Pie before you can buy! Mr Kipling World Exclusive"
continue reading "Stars And Their Pies - Celebrities Who Love Pies"
continue reading "Best Pies in London Restaurants"
Many people hold the common misconception that pies and athleticism don't go hand in hand. But nothing could be further from the truth! What sports are good to watch with a pie in hand? 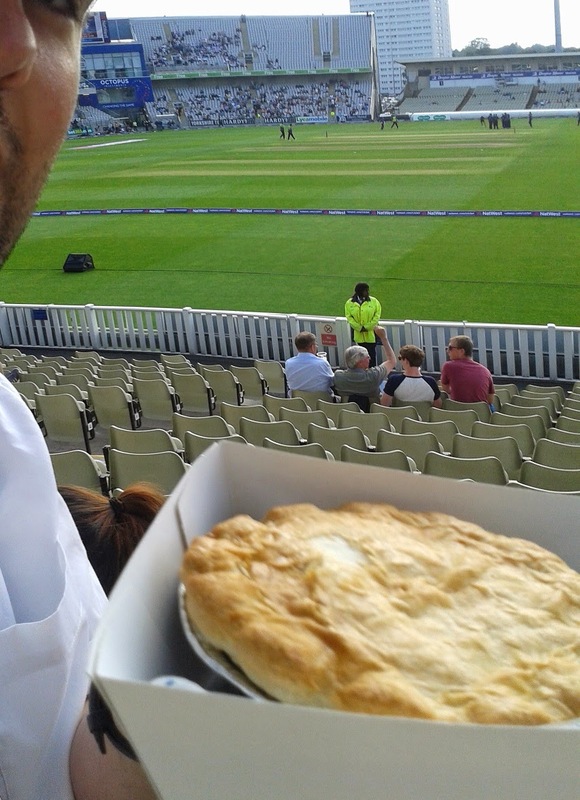 In June 2014, Pierateer RAS was also able to add pie at the cricket to the list of pie and sport matches on a visit to Edgbaston Cricket Club! So it's clear that sports and pies really are the best match. What other sports do you love to watch while eating pie? Lacrosse? Curling? Canoeing? Let us know! 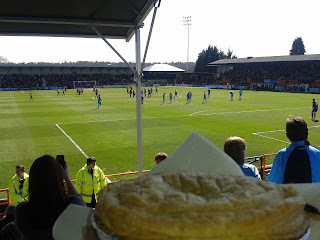 continue reading "Pies and sports: the best match ever!" 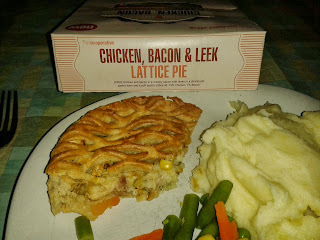 With a discount on the Chicken, Bacon and Leek lattice pie in Co-op, it was too good an offer to miss! 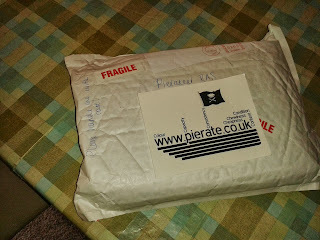 So my friends James and Claire picked the pie up for me and a review was in order! It didn’t take long for me to find an excuse to crack out the pie and heat it in the oven. So with a few friends to share pie with – going into “co-operative mode” with Jeremy and Stu – the pie was served up and ready to rate. The first thoughts were that this pie wasn’t very deep and content therefore could have been better. Sure, the pie was filled to the top (though that’s not particularly hard in such a shallow pie) and the lattice pastry on top looked pretty and was nicely crisp, however there wasn’t much filling to go with it. 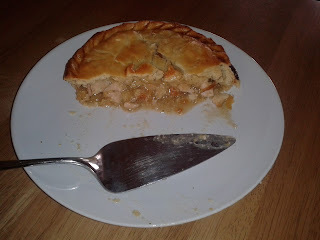 This did leave the pie tasting a bit dry, particularly the base pastry, as there wasn’t very much sauce to compliment it. The dry pastry was highlighted when some of the base pastry rather crumbled as I took the pie out of the tin foil it was cooked in, diminishing the condition score, but the pastry was generally crisp and nice. However the filling that was there was very good. The chicken and bacon were very nice and tender, spread out throughout the pie. The meat wasn’t chewy at all and was flavoursome. I’d have liked a bit more substance to the pie, with more meat and sauce in the pie to boost the taste. 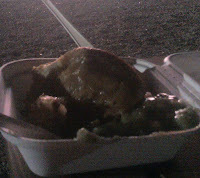 However the pie filling was very nice and the creamy & light sauce complemented the meat well. The pie at normal price is £3 for a family sized pie, which is quite reasonable. I’d happily eat this pie again, though would prefer more filling to bulk the capacity of the pie up! continue reading "Co-operative attack on the Chicken, Bacon and Leek Lattice Pie"
It's clear your friends know you well when they invite you out for a pie meal, buy you a pie book for your birthday or turn up at your door with a pie they’ve just bought for you! Or maybe that’s just me... Anyways, a Farndon Fields Huntsman Pork Pie was greatly received from housemate Jeremy on Saturday, following his scouting mission in the fields near Hothorpe Hall, Leicestershire, for our Church’s weekend away. 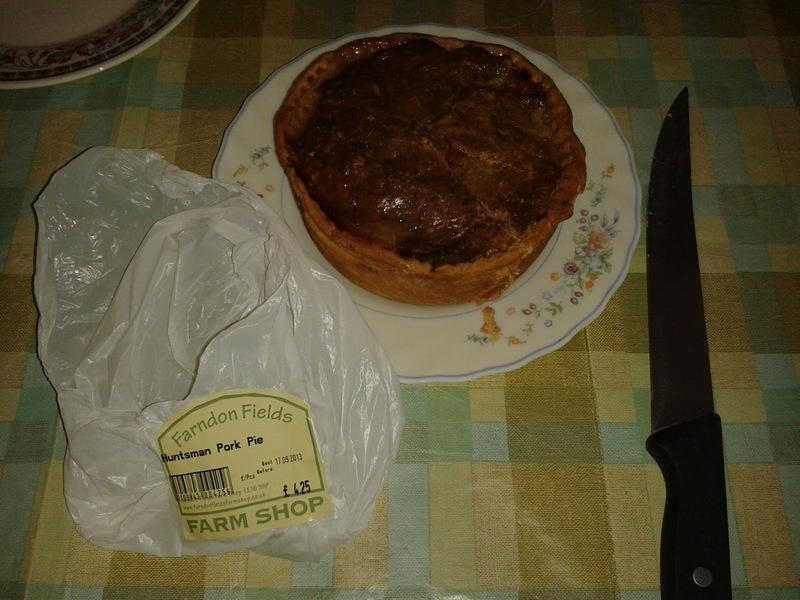 Bought at nearby Farndon Fields Farm Shop, I was intrigued as to what this pie would have to offer. The thought of a chicken and pork pie excited me (I had previously had a chicken and ham pork pie which had good potential), and while reasonably costly at £4.25 it was a decent sized pork pie. The question though was how would it rate? Yep, that’s right – it’s an onion and sage stuffing lid. Hmm... As we all know, Pierateers demand a pie to be filling fully encased in pastry with a clearly defined side, base and lid. Sure, the sides, base and lid were there, but lacking full encasement in pastry was disappointing as soon as the pie had been pulled from the packaging. Of course I avidly sliced through the pie to check, in case the stuffing was some sort of layer above the pastry lid... but to no avail. A lack of full encasement in pastry means a significant negative scoring unfortunately in our search for pie perfection. But let’s move on to the rest of the pie. The pastry that was there was quite thick and firm, but not overly chewy. It held the content in well and provided a definite firmness to each bite. The pork and chicken were both tasty and complimented each other well. Described as “succulent chicken breast”, the chicken was tender and tasty, but still a little dry compared to a standard meat pie. The meat was predominantly very good but a little gristly in places. 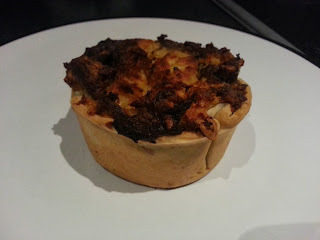 The stuffing complemented the meat well but left disappointment due to it being in place of a pastry lid. And the jelly content was quite over-the-top, both being on the inside of the pastry (as expected) but also a rather thick layer between the chicken and stuffing lid, forming quite a strong, overpowering layer of jelly. This detracted from the more enjoyable meat content, and the whole pie suffered from a lack of pastry lid. 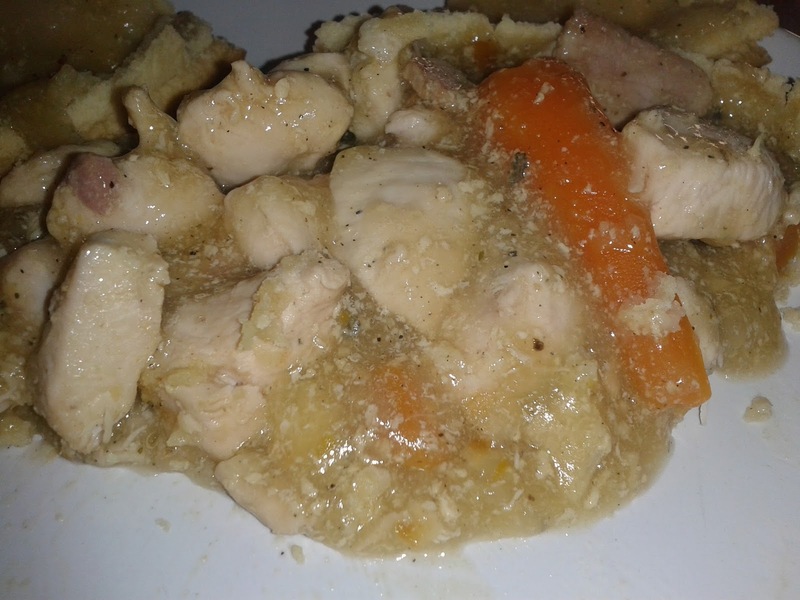 All in all, while this wasn’t a bad effort, and the chicken and pork pie filling does definitely work as a combination, I’d certainly want to hunt round for a stronger candidate. 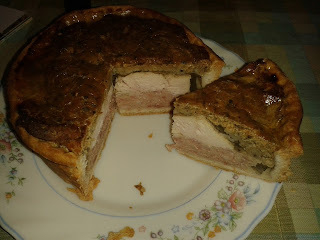 continue reading "Hunting down a Farndon Fields Huntsman Pork Pie"
I thought I may have run out of small pie producers in Suffolk to review. 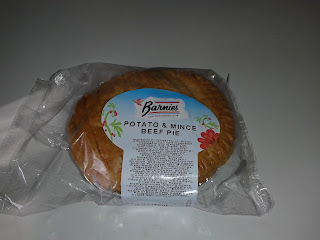 Fortunately I found this Barmies Pie in a newsagent in Leiston. 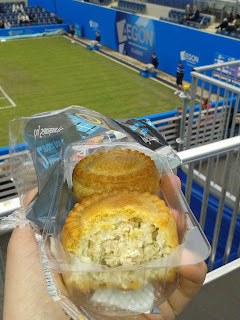 It was the only pie in the shop and I had some reservations initially as it was Potato & Mince Beef flavour. I am generally a bit sceptical about the displacement of meat in a pie by potato. It generally indicates a cheaper pie. Mince also tends to indicates worse quality meat otherwise surely it is preferable to use whole pieces of steak. Also, I cannot find anything online about Barmies pie company, I am not sure they exist! Now for the criticism which stops it getting into the upper echelons of our pie rankings. There was quite a big Capacity as this was a tall pie, however, as can be seen there was a sizable air gap in the top of the pie. Call me a pessimist but I would say my pie was half empty rather than half full on this occasion. Also, while the meat tasted good, it wasn’t great quality and would have been overly chewy had it not been minced up. So, a decent pie but I feel I would be letting standards slip if I endorsed a pie with such a big air gap, hence there is a glass celling on the score. You don't have to be Barmy to buy a Barmies pie, it is a solid little performer, but you might feel an air of disappointment. P.S. I have just realised that the company is actually called 'Barnies' not 'Barmies' as I thought. They do actually exist and have a website, guess this explains why I couldn't find them! The logo isn't very clear! continue reading "Is Your Pie Half Full Or Half Empty?" So here it is, the Pierate review of the Pie which won the title of Supreme Champion at the 2013 British Pie Awards. This means it was the best pie in the whole competition, which included a staggering 983 pies. Understandably I was therefore quite excited to be trying this pie after it has achieved so much. Would this pie top our list of the best pies in Suffolk? Could this be the best pie I have ever tasted? Have a look at the review in action in the following video. So now the moment of truth! What did I think? Colour - 7 out of 7 - A real winner against the colour criteria. I think this pie had a perfect golden colour even before being cooked. Despite the pastry being all hand made it showed quite an amazing uniformity, but not too much so as to lose it's handmade character. The filling also looked great, with the carrot adding a splash of colour. Consistency - 7 out of 7 - The pie had a fantastic consistency, with a lovely thick sauce, but not too thick as to be stodgy. I love the way it slowly oozed out although the filling generally stayed put inside the pie. A pie which would be great to serve to guests as it stayed together very well. Capacity - 7 out of 7 - Whist this pie was certainly not the tallest pie it was big enough to fit a lot in. I think this pie could serve about 3 people with mash and veg. It had an excellent filling to pastry ratio. Chewiness - 5 out of 7 - I tend to use chewiness to score the texture of the pie. The filling had a marvellous texture. The meat was tender but still firm to the bite. It really showed that this was not mass produced chicken which can often be mushy and watery. The carrot added another dimension to the texture and retained a nice crunch. Quite an achievement in a pie. However, as much as I loved the taste of the pastry the texture was too crumbly for me. My ideal pastry has a smoother mouthfeel. 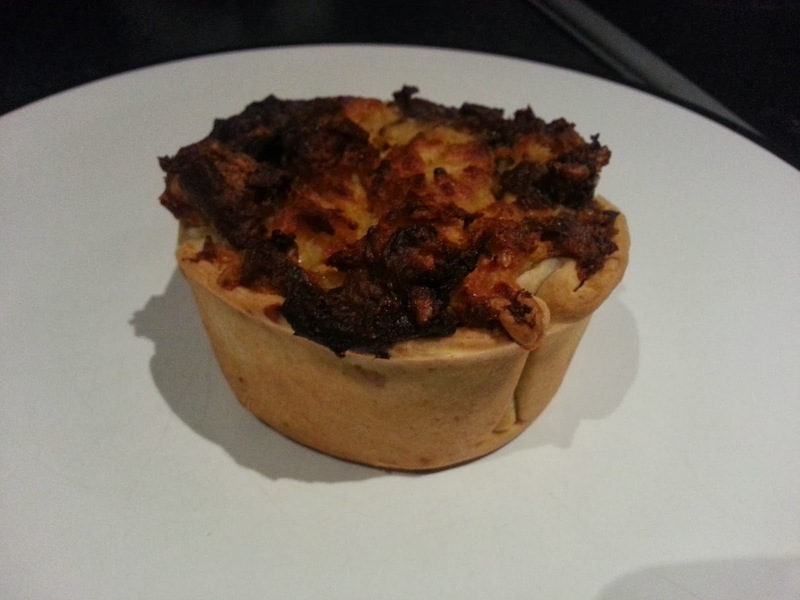 Cheapness - 5 out of 7 - This is the most expensive pie that The Pie Kitchen make. It cost £7.50 if purchased from one of the farmers markets they attend. Okay, this is a lot more than most of us normally pay for a pie. However, you get a lot for your money. The pie is quite big and the amount of filling is fantastic. I reckon this pie has about twice as much chicken as an equivalent mass produced pie. Good quality, locally sourced produce does cost more and hence I don't think this was bad value. Content - 7 out of 7 - If I could give this pie 8 out of 7 for content then I would. 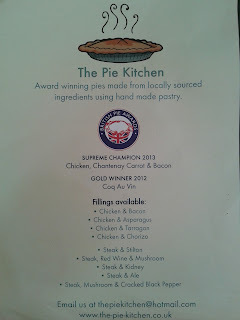 The flavours did everything you would expect from a top quality traditional British pie and did it brilliantly. However, there was just a hint of some unusual flavours that made it stand out from the crowd. I can't quite say what spices and herbs might have been used, but it tasted slightly Christmasy to me, perhaps it was nutmeg or some other seasonal spice. There was also a delicious meaty taste to the pie, something we love on The Pierate Ship! This was aided by the big chunks of chicken and more than a hint of bacon. The carrot also had a superb, sweet flavour. I am going to have to buy more Chantenay carrots in the future if they taste this good. Below, you can see a section of the pie where I have removed the lid to show it is packed with content as you would expect for a pie at this price. Condition - 7 out of 7 - Beautifully formed, hand made pastry, this pie looked like a premium product. It arrived with me in perfect condition and didn't have any soggy bottom syndrome or leaking filling after time in the oven. So there it is, a pie which might not quite take top spot in our Pie Rankings but is comfortably inside the top ten. It certainly lost some score because of the high price but I would buy it again and this shows through in the very high score. Without doubt one of the best pies I have ever eaten. My compliments to Sally and Carol at The Pie Kitchen. They are refusing to compromise their ideals of local ingredients and using the best quality available. The care that goes into making these pies shows through in how good they taste. I urge you to try one of these pies, if you can. The Pie Kitchen visit a range of different farmers markets during the month, the list of which can be found on their website www.the-pie-kitchen.co.uk. These are mainly in the Cambridgeshire and Suffolk areas. They can also be found in the Depden Farm Shop near Bury St. Edmunds. Best of luck to The Pie Kitchen at the British Pie Awards 2014! 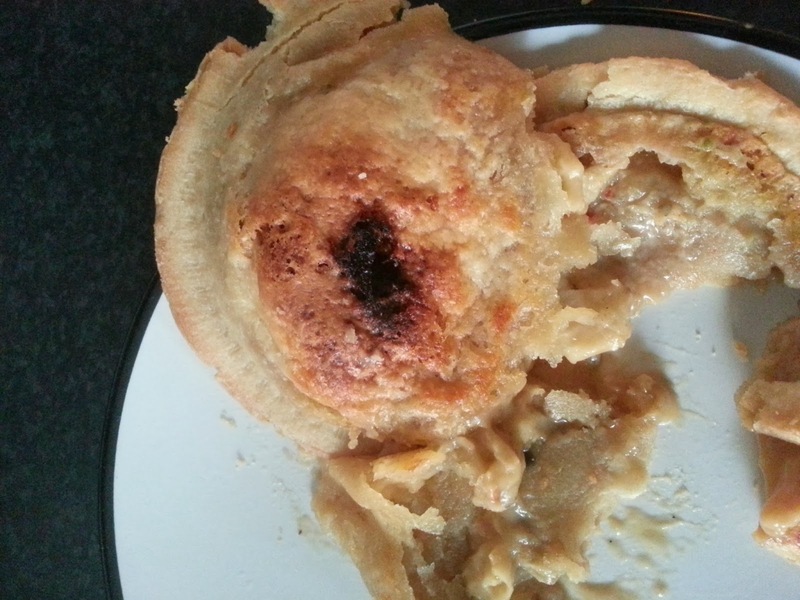 See where this pie ended up on our Suffolk Pie Rankings, the overall Pierate Pie Rankings or find other pies of a similar flavour. continue reading "Cooking Up a Storm in The Pie Kitchen"